German-made and extremely quiet. 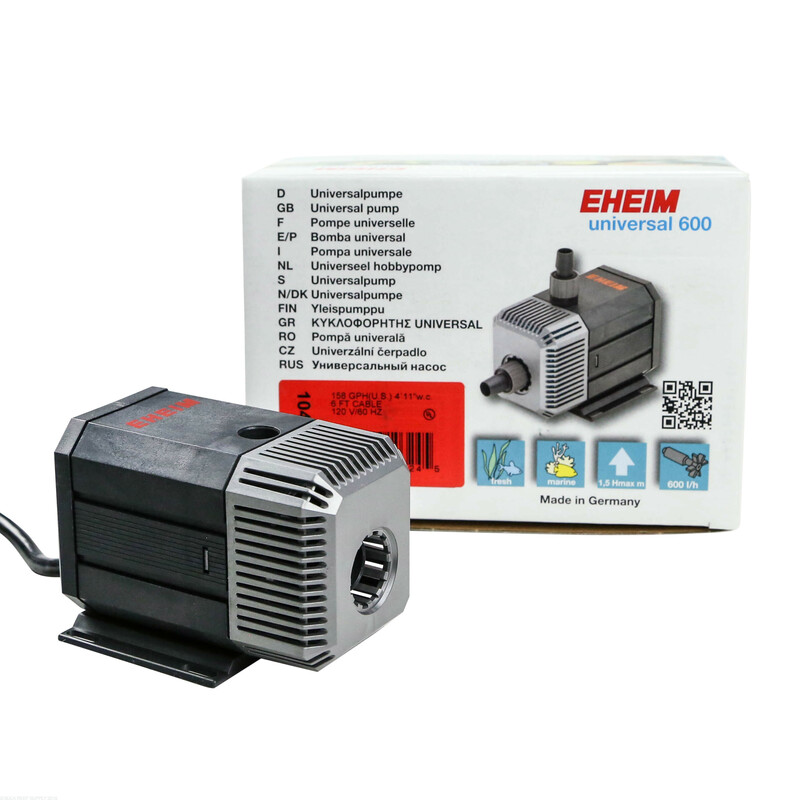 EHEIM universal pumps offer a large power spectrum and versatile uses. They also feature outstanding continuous operation characteristics in a more robust pump. 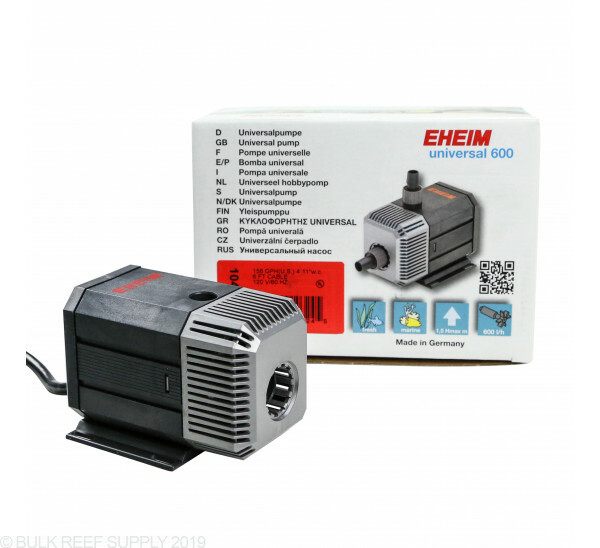 These versatile water pumps are perfect for returning water from sump filter systems and can be used either submerged in the water or located in-line outside of the sump (less heat transfer). Highly energy efficient with silent operation, these dependable pumps will give years of operation. Universal pumps are designed for use in/under water as well as for powerful use outside. All universal pumps have a hermetically sealed motor body. That guarantees maximum safety. The integrated pre-filter prevents objects from entering the impeller and ensures long performance. The inlet connector is designed for safe hose connection. The pressure connector enables the use of interesting accessories such as installation SET 2. The supplied assembly plate enables different assembly options.